The descendants of Mad Men are in for a rough ride. A damning report backed by a group that represents $300 billion of brand spending by the likes of Procter & Gamble found that advertising firms are obscuring certain media-buying practices to the ire of clients. Combined with a potential pullback in marketing during uncertain times, that could spell trouble for big agencies. Job cuts on Madison Avenue look inevitable. The relationship between big brands and agencies has been souring for some time. The Association of National Advertisers, a trade group that counts American Express and Unilever among its ranks, hired the private intelligence firm K2 to look into how TV commercials, digital ads and the like are bought by agencies. Corporate gumshoes discovered that rebates garnered by ad firms were often not passed on to their customers. While the report doesn’t name names, brands will use it as cudgel. McDonald’s is just one example. As it searches for a new ad shop – Evercore ISI research reckons the Big Mac maker spent $1.4 billion in advertising last year – it’s reportedly seeking a host of constricting terms. One includes a more stringent conflict clause that will make it difficult for an agency serving any other quick-service restaurant to win its business. The trend doesn’t bode well for WPP, Publicis, Omnicom and Interpublic (IPG), or the nearly 200,000 Americans who work in the field, according to Statista. While sales and operating margins have held steady at the big firms, the amount of revenue generated by each employee has weakened. At WPP, it fell to $149,629 last year from $156,148 in 2014. It fell at Omnicom and IPG too. Publicis showed gains, but only after it swallowed ad-consulting agency Sapient for $3.7 billion last year. 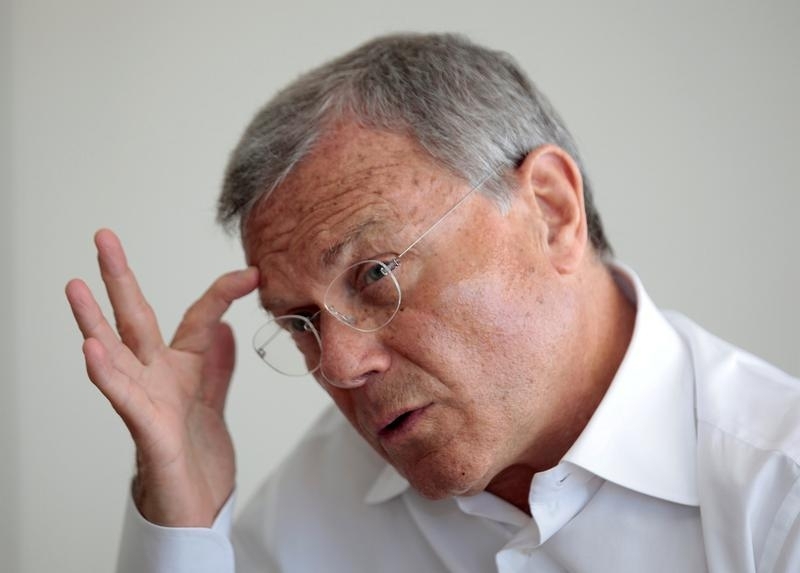 WPP Chief Executive Martin Sorrell says that agencies historically get the short end of the stick during times of economic uncertainty, like the one ushered in by Brexit. He also told Bloomberg TV his firm isn’t planning on cutting in response to Brexit. With brand stewards increasingly turning the screws as well, that’s a bold prediction for even the brash Sorrell to stand by. Sir Martin Sorrell, Chairman and Chief Executive Officer of WPP, in Cannes, France, June 24, 2016. On June 7, the Association of National Advertisers released a report from intelligence firm K2 on practices of ad agencies and how they buy media. The report found that agencies are lacking "full disclosure" and that contracts for rebates that were not passed back to clients persisted in the industry. The report does not specifically name agencies, and interviews of executives and others in the ad industry were conducted anonymously.